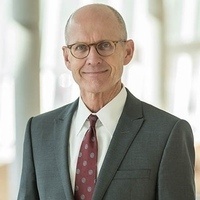 The campus community is invited to attend a welcome reception on April 2 for Keith Olsen, Pharm.D, new Dean for the College of Pharmacy at UNMC. The event will be held from 2:30-4:00 p.m. in the Linder Reading Room, located on the second floor of the Sorrell Center. UNMC Chancellor Jeffrey P. Gold, M.D., and Dean Olsen will make remarks at 3:00 p.m. Light snacks will be provided.